The Skagit River is western Washington’s largest river after the Columbia. Its headwaters lie across the border in southern British Columbia, high in the Canadian Cascades where some of the world’s deepest snowpacks accumulate. From here the river runs south into Washington, gathering more snowmelt from lofty granite peaks in North Cascades National Park. 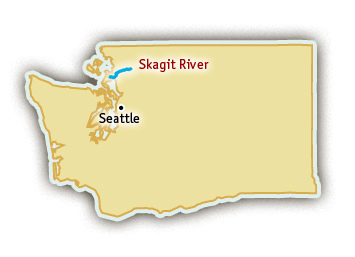 Then the Skagit River turns southwest through the Cascade foothills and finally due west to Puget Sound. For the moment the Skagit River still runs free from the last dam near Newhalem to Puget Sound. Though all 90 miles are boatable, the first 25 down to the Sauk River confluence hold the most interest for whitewater rafting. These back-to-back runs offer a variety of whitewater rafting and scenery, and they can be combined for longer trips. Visit their website for more information about Skagit River Rafting. Upper Skagit River rafting trips course swiftly down a narrow, heavily forested glacial valley that provides frequent views of nearby snow-capped summits. The river is sparkling clear, and on sunny days the water is an intense and beautiful blue-green. This stretch holds the Skagit’s only whitewater, making this section quite popular. Most of the action is limited to a short Class II – III gauntlet called the S-Curves, where the river cuts a narrow passage through granite bedrock. This section of the Skagit River travels through North Cascade National Park, home to some of America’s most beautiful scenery. The Lower section of the Skagit River is considered a mellow float trip. Just below the upper section, the river settles into a swift but gentle glide down a gradually widening flood plain. Soon the river begins meandering in shifting channels over deep deposits of gravel and cobble, the legacy of an ice-age glacier that once filled the valley and extended all the way to Puget Sound. This stretch of the lower Skagit enjoys many views of snowy peaks. Below Cascade Bridge the Skagit valley widens and the channel becomes broader, splitting occasionally around large islands. The Lower section enjoys a little more solitude: the river occasionally winds away from the highway, and dense vegetation provides some privacy. Each season on the Skagit River offers unique and beautiful scenery. 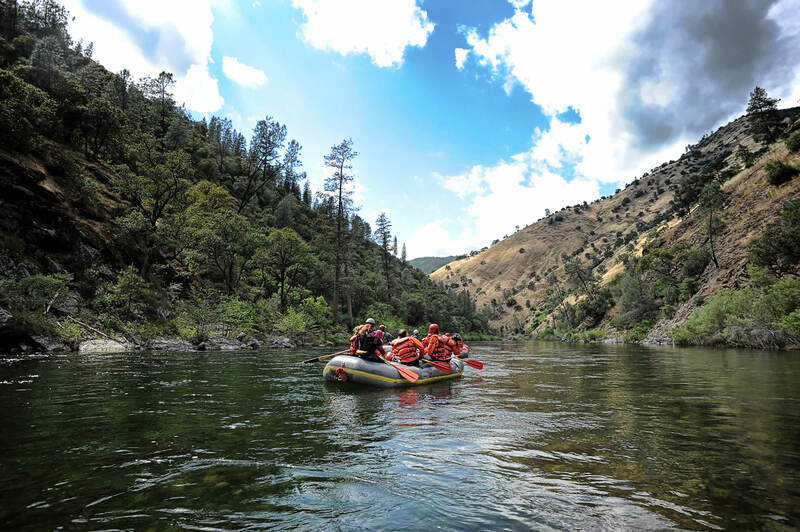 While the summer months are the most popular for rafting, in autumn the riverside foliage turns to blazing yellow and orange and the migrating salmon leap from the waters. Each winter hundreds of the great birds come south from Alaska and Canada, drawn to the Skagit by throngs of migrating salmon and steelhead. Rafters can watch the migration with views of majestic snow capped peaks in the background. Although numerous birds migrate to the area, the Skagit River is perhaps best known for its annual gathering of bald eagles. Dam-controlled, the Skagit River runs year-round. The spring provides early-season rafting without the intimidating high water from spring run-off that most other rivers experience.